Over the past few months, we’ve been struggling with NHL on a little matter. He keeps putting his fingers in his mouth. Sometimes he’s biting his nails, sometimes he’s sucking on his fingers. A few times, he’ll even put toys (or other objects) in his mouth. Considering that he’s 6 years old, he’s way too old to be doing this. We keep telling him to stop, that he’ll get sick by doing this, but he persists. I’ve even wondered if putting hot sauce on his fingers might stop him. I wouldn’t seriously do this, but when I’m really frustrated it sounds like a good option. 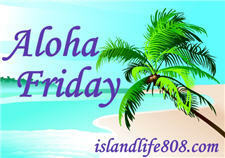 My Aloha Friday question to you is: How would stop your child from doing this or some other annoying habit? I have found that they usually will give it up if you pretend that it doesn’t bother you. Help him remember not to do it. maybe put a ring of ribbon and some sort . give him bubble gum keep his mouth busy. .-= Night Owl Mama´s last blog ..WW: Sleding and Snowmobiling Fun =-. I just wrote about this kind of thing last week. But for this specific thing I think I would try telling him that is something he is only allowed to do in his bed. And whenever he put them in his mouth I would remind him that he must go to his bed to do it. Let him go – he will probably only do it a few times. .-= Upstatemomof3´s last blog ..Mirabito Outdoor Classic =-.